Award-winning actress Jane Fonda — a sharp critic of the government’s failure to honor treaties with Native American First Nations - supports Standing Rock. 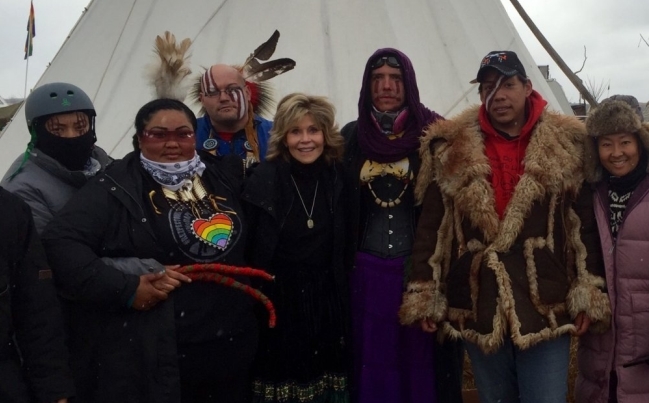 Fonda, in addition to joining the group, has donated four much-needed Mongolian yurts and five bison. Yurts — round, semi-permanent tents reinforced with framing and usually equipped with a heat source doubling as a stove in the center — are traditional housing used by nomadic cultures for centuries as defense against the elements for their ease of portability. We must do all we can to make sure the Water Protectors are victorious. These are people fighting to protect the earth and all its creatures including us. 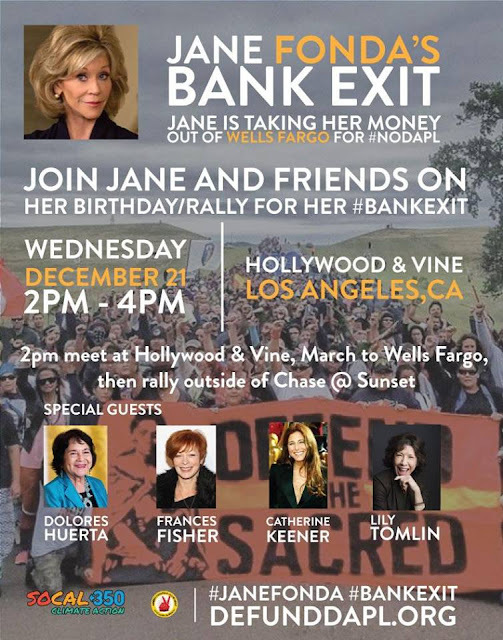 Responses to "Jane Fonda closes her bank account with Wells Fargo to support Standing Rock"
GO JANE... and ALL OF US MUST FOLLOW!